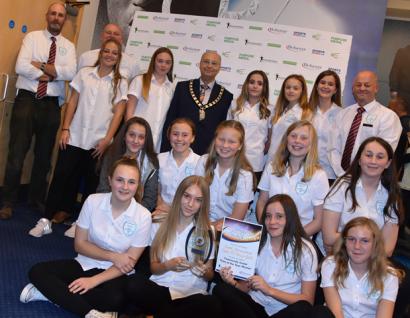 HW Martin Waste Ltd returned to the latest annual Bolsover District Sports Awards in October as it showed its continuing support for this great event. 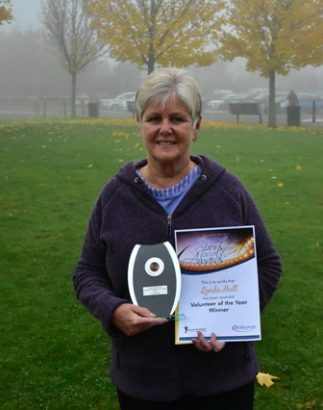 The company sponsored two of the Awards – Community Volunteer of the Year and Community Junior Team of the Year, which were won by Lynda Hall and the South Normanton Colts FC U14s Girls football team, respectively. The annual event is held to recognise and celebrate the hard work and achievements of individuals, teams and community groups across Bolsover district. In 2018 the awards ceremony was held at Sports Direct in Shirebrook and Bolsover District Council Chairman, Councillor Tom Munro presented the winners with their awards. HW Martin Waste Ltd has sponsored categories at the district’s awards ceremony for many years. The company is part of the Martin Group of Companies, a family-owned business with its headquarters in Bolsover district and hundreds of employees from the local area and across its nation-wide operations. It is important to the business that it supports community initiatives and helps to encourage more people to get involved at a local level. Everyone at HW Martin Waste Ltd would like to congratulate all the award-winners at this year’s ceremony, as well as all the worthy nominees that provided stiff competition for the awards in every category.